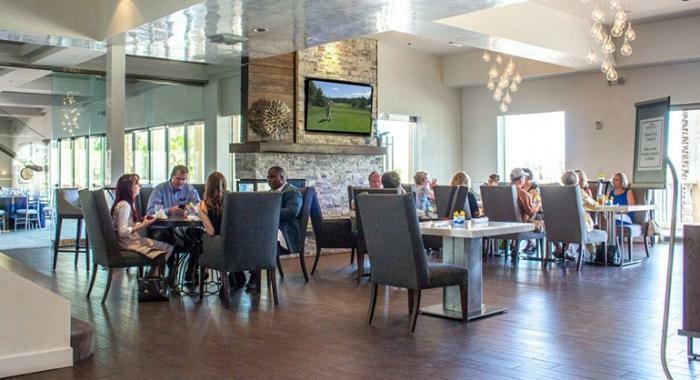 The clubhouse at Reflection Bay Golf Club provides multiple dining experiences, from fine dining for your wedding or celebration to a casual beer after your round of golf. 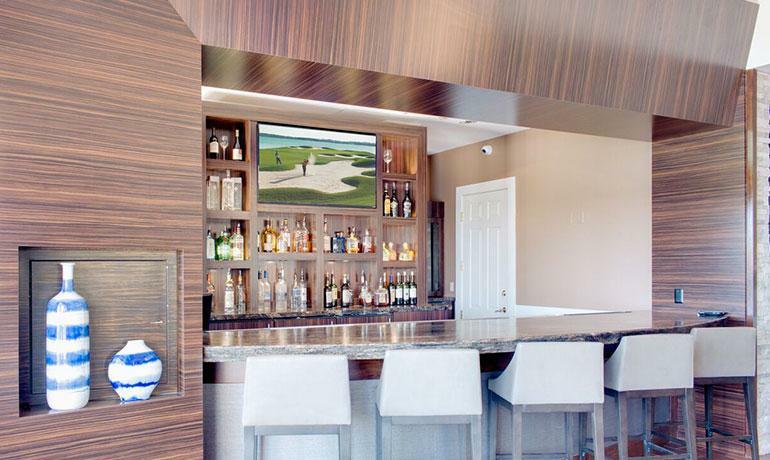 With multiple dining options and a full service kitchen and bar, our clubhouse is a great location to watch the big game, have lunch with friends, or meet for happy hour. 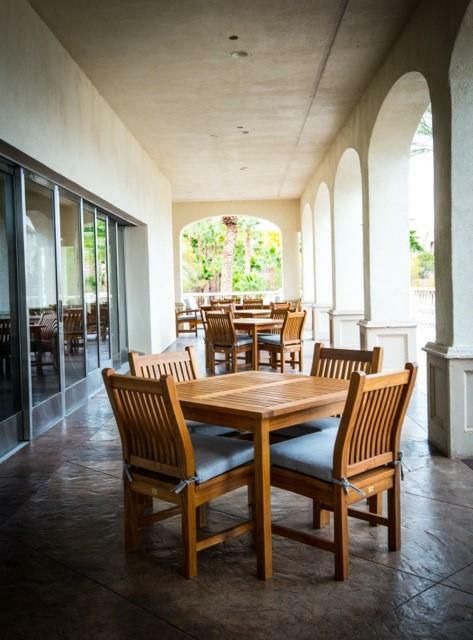 In addition, we have beautiful outdoor patio seating with amazing views of the Las Vegas sunset. 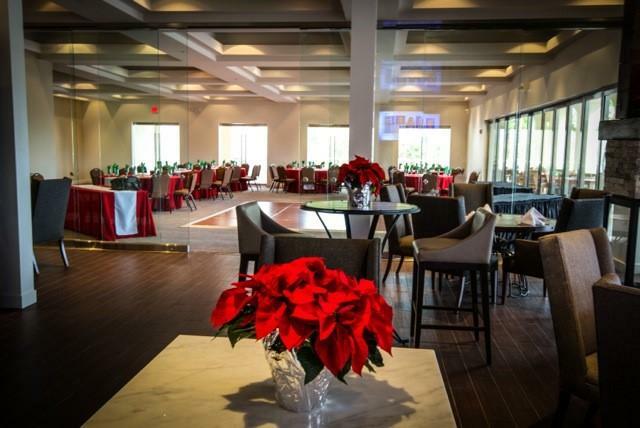 For special events, the Reflection Bay clubhouse can be transformed into one of Las Vegas’ most luxurious wedding and special event venues. 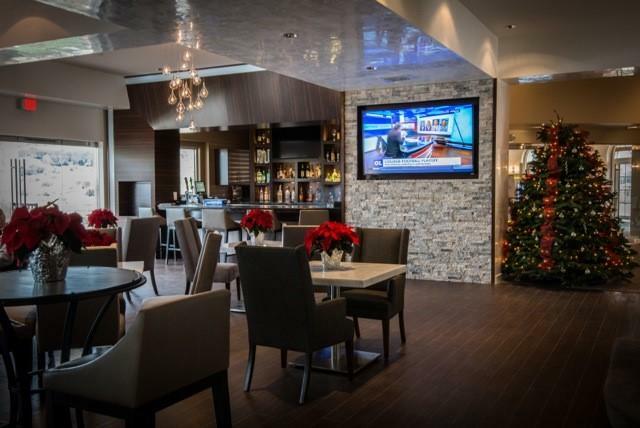 If a big casino banquet room is not your style, our intimate setting provides the perfect atmosphere to host friends and family on your big day. 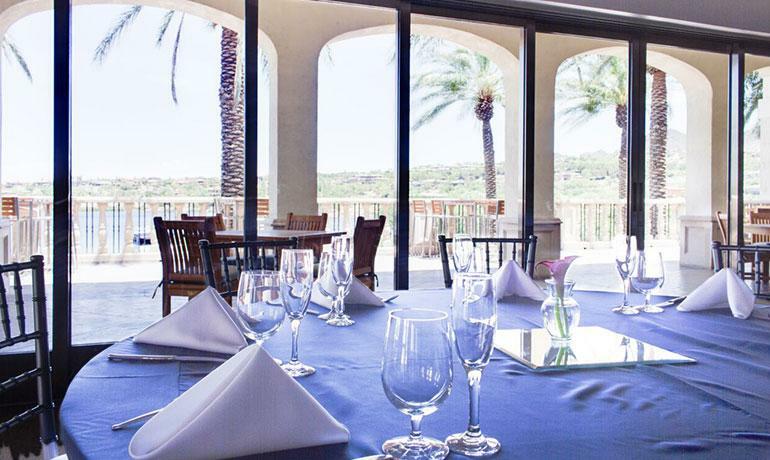 Trade that stuffy banquet hall for a beach side ceremony looking out over Reflection Bay. Conclude the ceremony with a ride on the La Contessa yacht and a champagne toast to the new couple before returning to the clubhouse for your reception. Reflection Bay offers a truly unique wedding experience unlike any in Las Vegas.